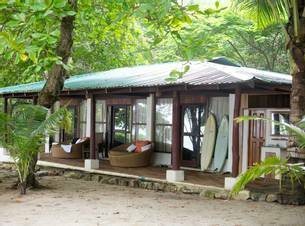 Florblanca prides itself on delivering first-rate coaching and their yoga and Pilates programme is a must for any yoga devotee. 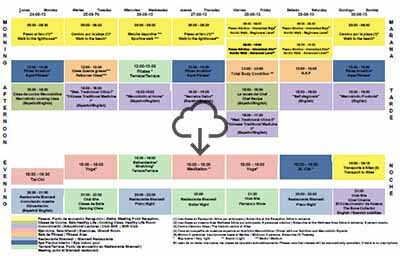 Featuring internationally trained instructors and a beautiful seaside open-air dojo you can expect to enjoy expert individual classes designed to rejuvenate your mind, body and soul. 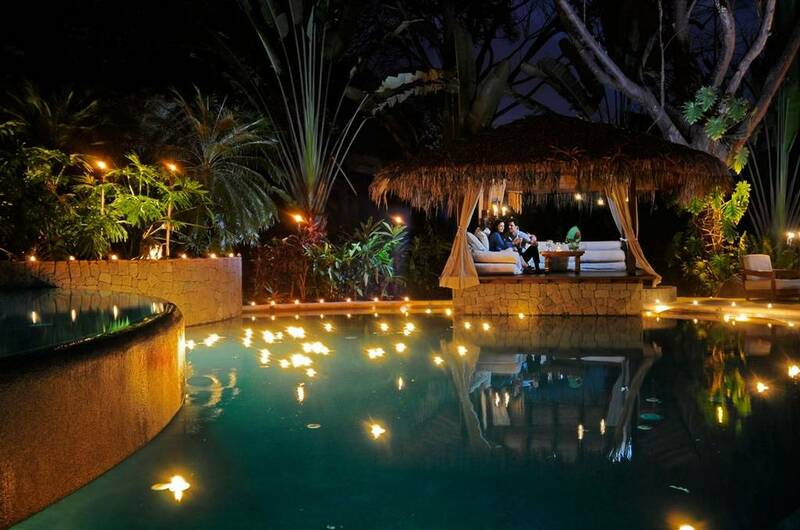 Suitable for all levels of experience, the programme at this luxurious Costa Rican getaway offers fantastic yoga classes as well as indulgent treatments to ensure you return home feeling fully revitalised and de-stressed. 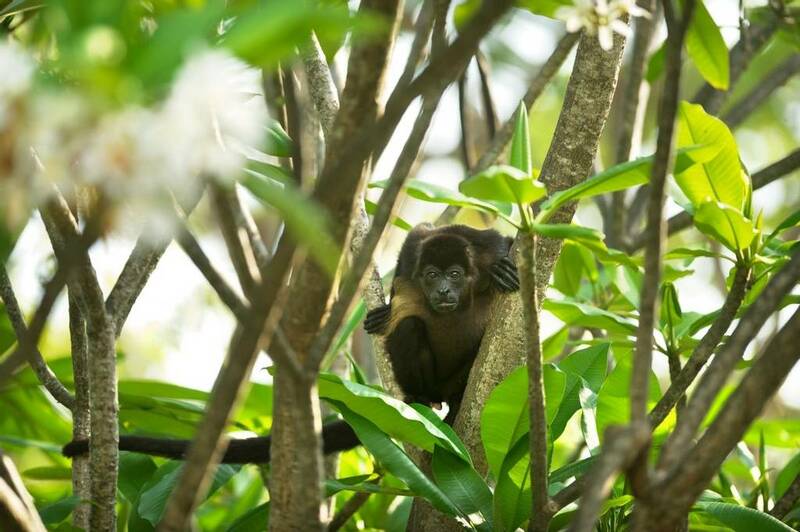 Tropical waters, combined with a warm climate make Costa Rica one of the most sought after holiday destinations in the world. 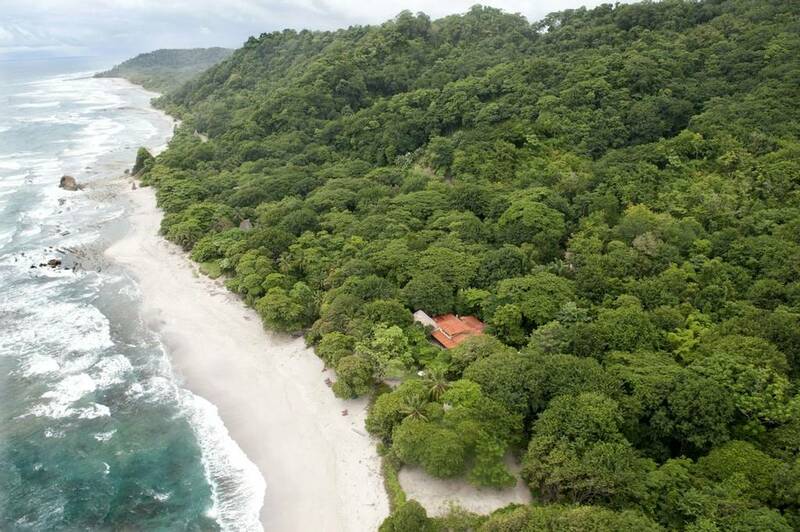 Located on the magnificent sands of the Nicoya Peninsula, Florblanca twins immense luxury with natural living. 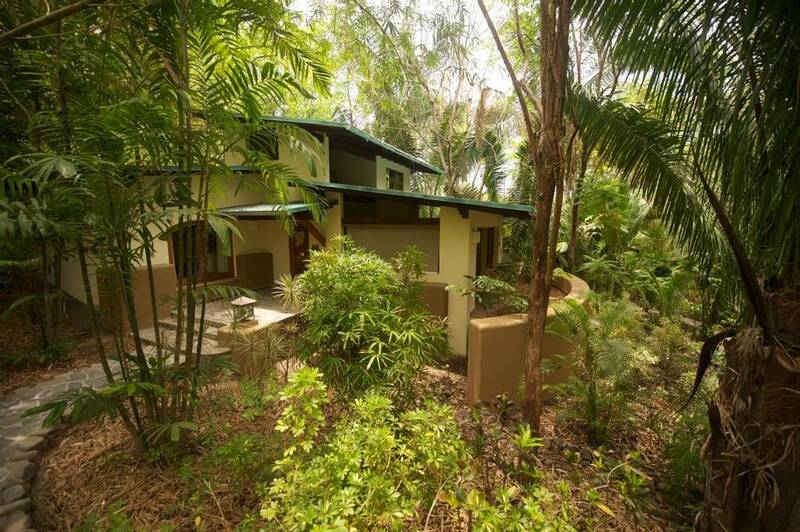 Villas are dotted around the trees and compliment the environment they’re set in. 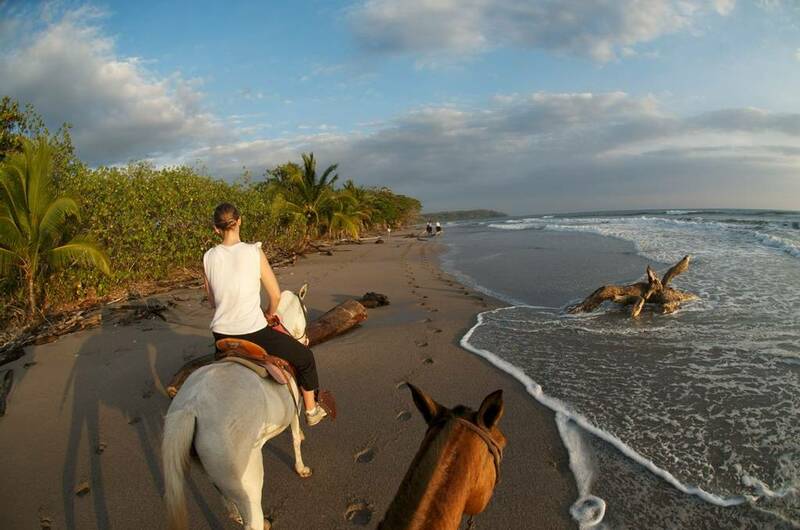 Unwind in a shady hammock or take a horseback ride down the beach to stimulate your senses and feel closer to nature. 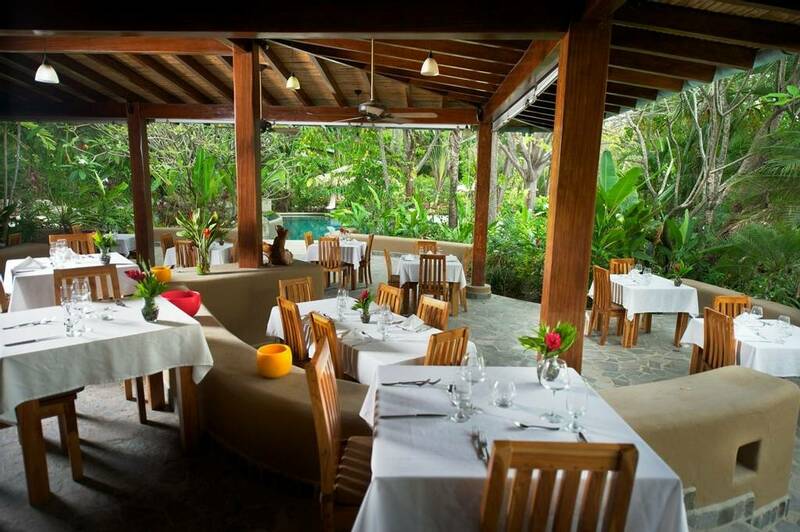 Set part indoor, part outdoor, this relaxed and elegant environment is incredibly welcoming. 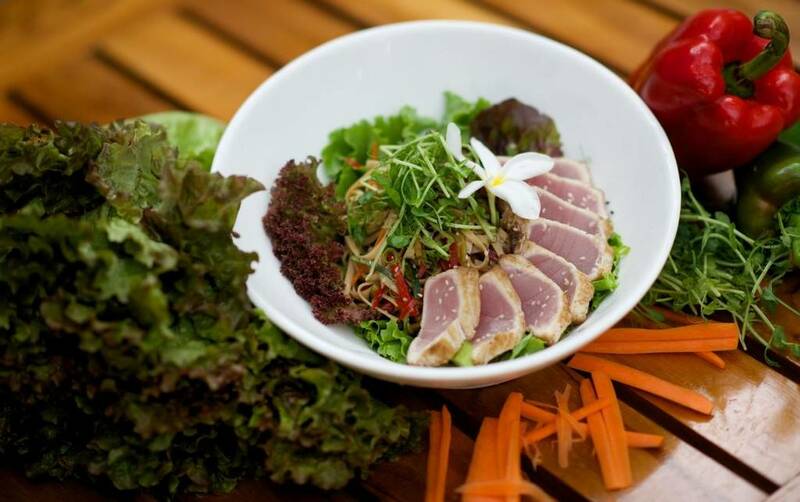 The kitchen serves up New America cuisine with Latin and Asian twists to tantalise your taste buds. Ingredients are seasonal and about as fresh as it is possible to be with fish practically plucked from the sea straight to your plate. All meat is sourced locally as well as a large proportion of the fruits and vegetables. 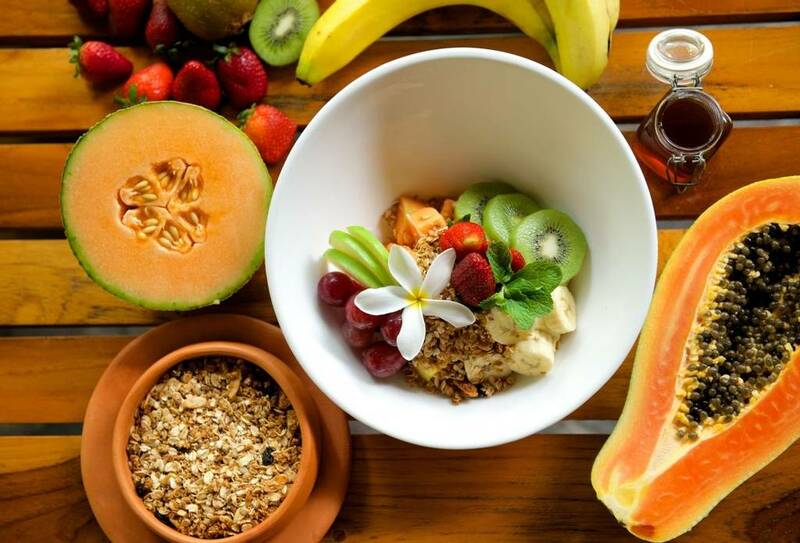 Nectar’s breakfast will get you up and ready for the day ahead with surfer’s burritos, banana pancakes and a huge selection of fresh tropical fruit and smoothies. Lunch is served from 12 – 3pm and if you have a day excursion planned, Nectar is happy to prepare a packed lunch for you. As with all meals, dinner is a culinary treat with different flavours and textures all infused in a sophisticated menu that will leave you satisfied at every serving. The biggest waves occur typically during October. The Playa Santa Teresa beach at Florblanca is ideal for beginners right through to expert surfers. 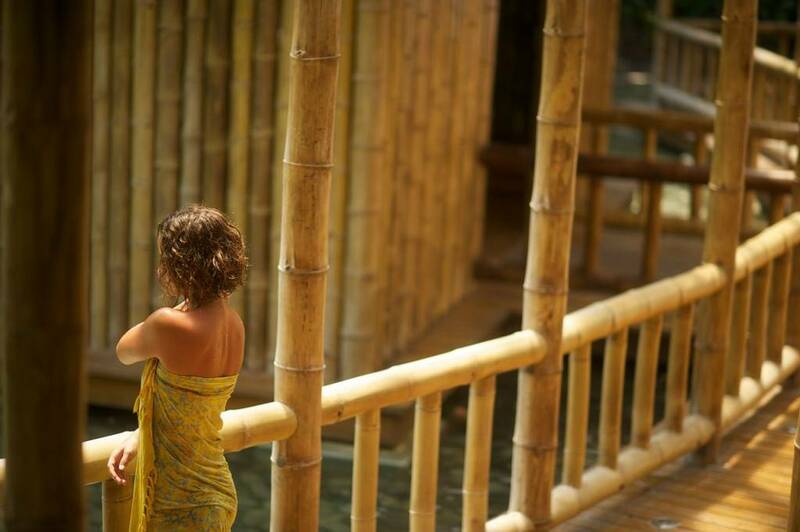 Central to the Spa Bambu’s healing philosophy is to be as natural as possible. 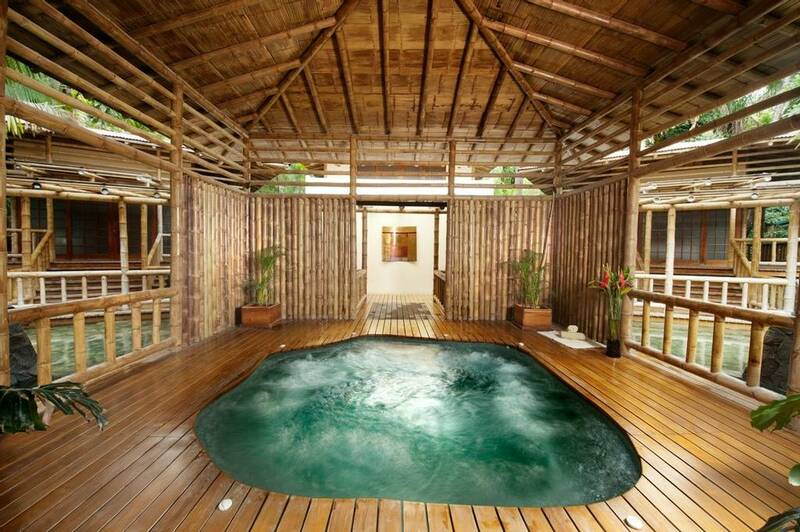 From the aromatic reception to the large open Jacuzzi, everything is created with your wellness in mind. 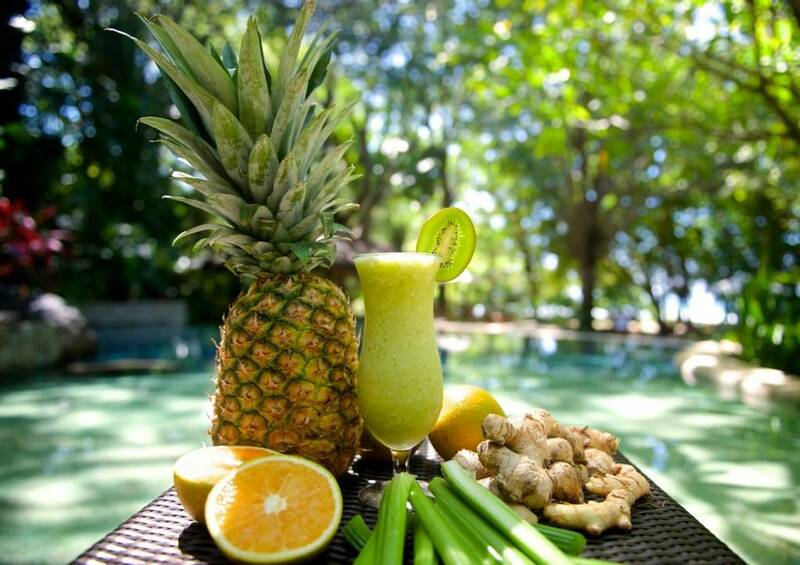 Florblanca provides a unique wellness experience that will restore you to perfect health with the freedom to choose the level of activity you want. 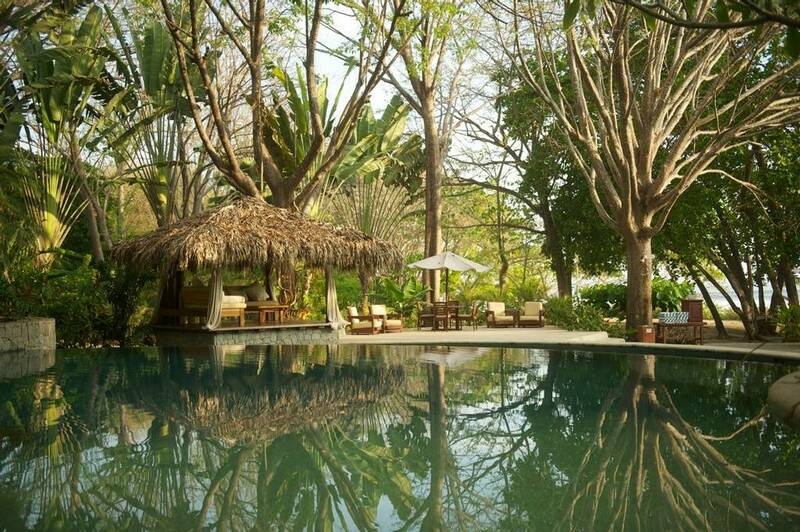 Busy days of surfing and cycling can be followed by lazy days in the shade of the trees, enjoying yoga and Pilates sessions or unwinding in the incredible Spa Bambu. 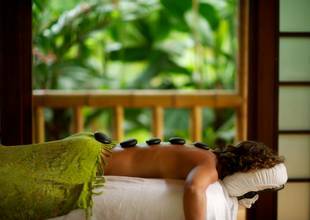 Spa Bambu offers experiences such as coconut scrubs, cleansing facials and manicures to indulge your senses. 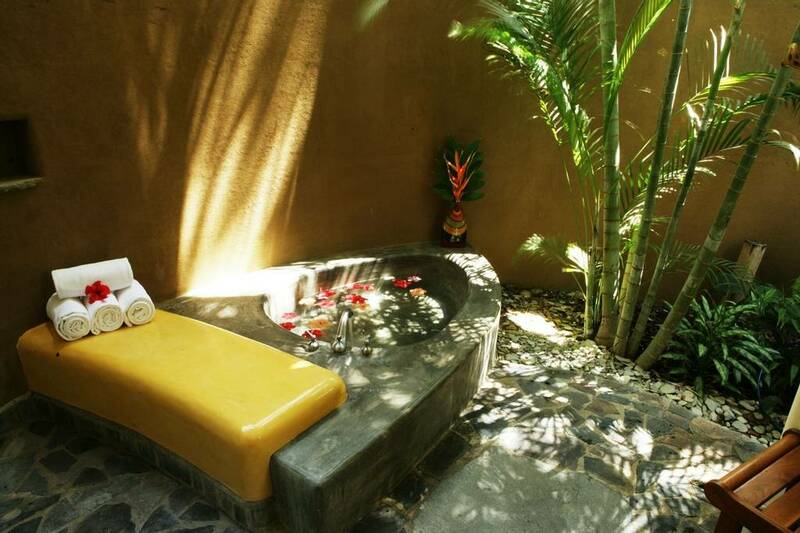 Combined with the open air Jacuzzi and songs of tropical birds, your troubles and stresses will float away on the breeze. 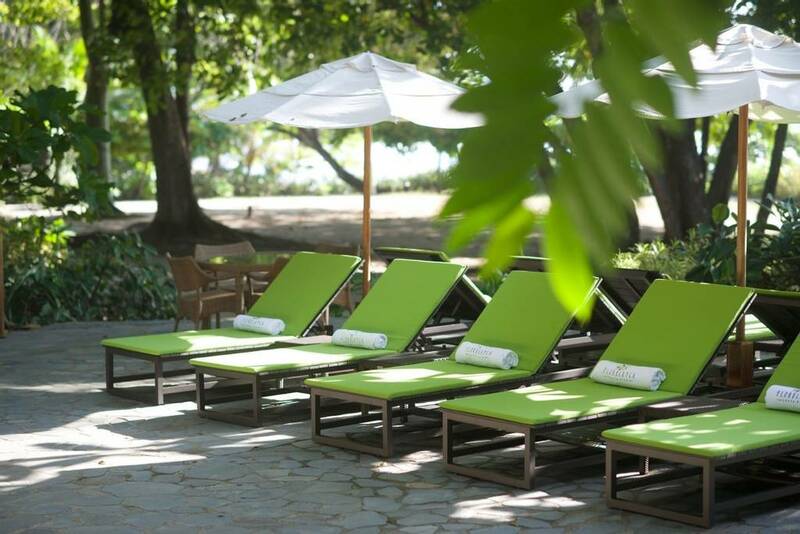 All of the accommodation at Florblanca has been refurbished recently ensuring optimum luxury and comfort. All of the fabrics, furniture, pillows and accent décor have been updated to incorporate brighter earth tones with a contemporary feel, mixed with a touch of Latin flair. 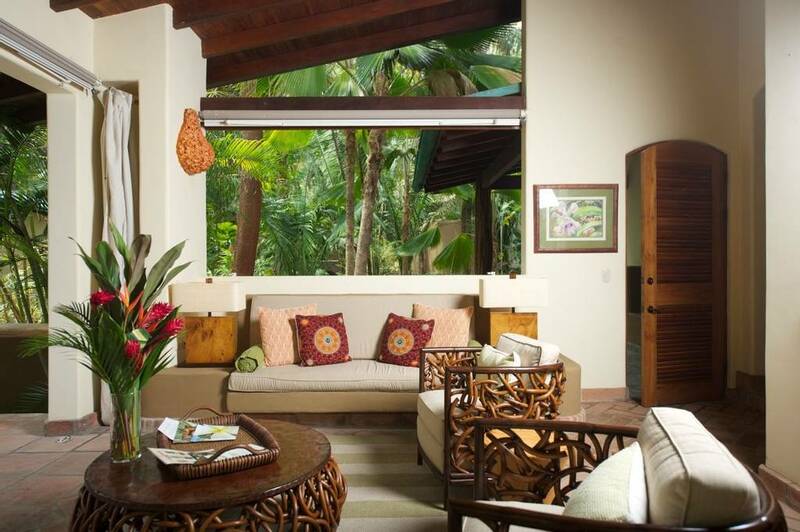 Villas are set into the jungle and reflect their natural setting both inside and out. 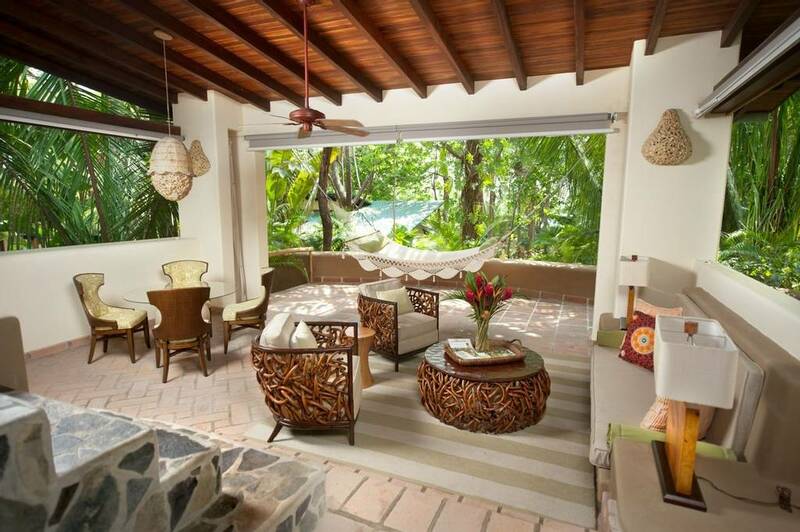 Chose a one or two bedroom villa, and enjoy contemporary décor with a touch of Latin flair. The bathrooms are creatively designed in an outdoor space allowing you to feel close to nature whilst remaining in luxury. 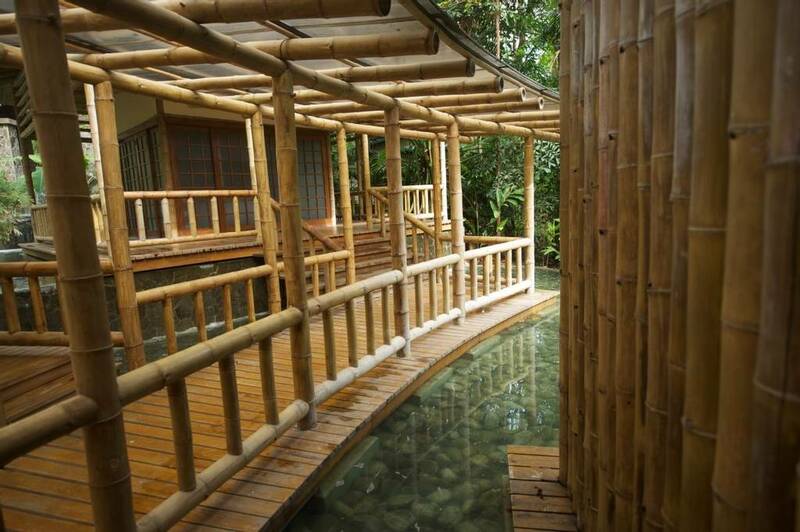 This two storey accommodation is the height of luxury and is available not just to honeymoon couples. 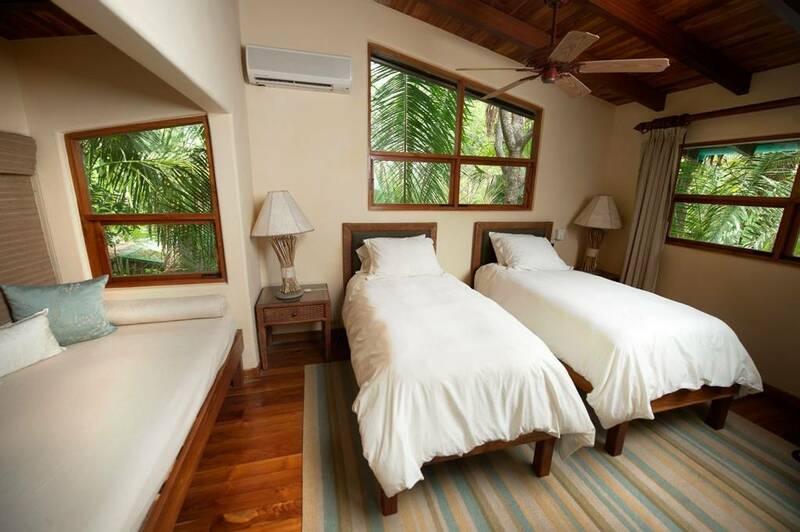 The ocean front king bedroom and Jacuzzi adorned bathroom are set in the tree tops, high above the Pacific surf. On the ground floor is a spacious living room that can be opened fully to the terrace. Enjoy in room breakfast or a romantic drink in the evening in unparalleled privacy and seclusion. 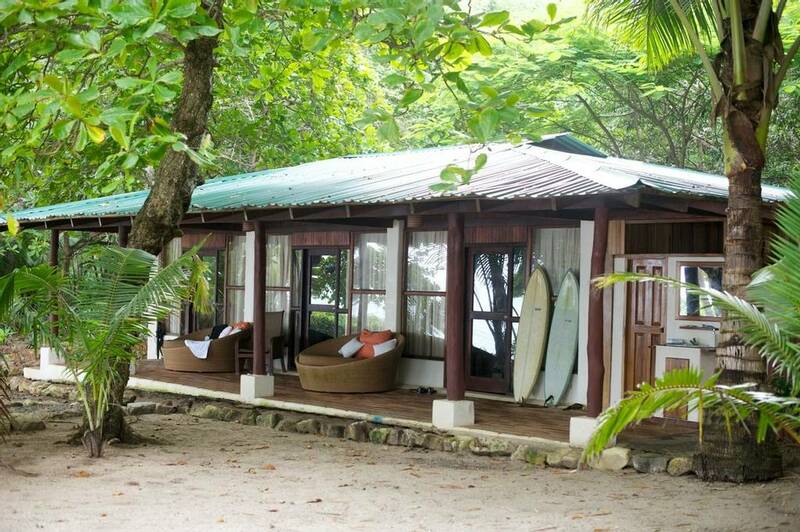 The Surfhouse sleeps up to six people, so there’s room for the whole family or extra friends to experience the magnificent Florblanca. 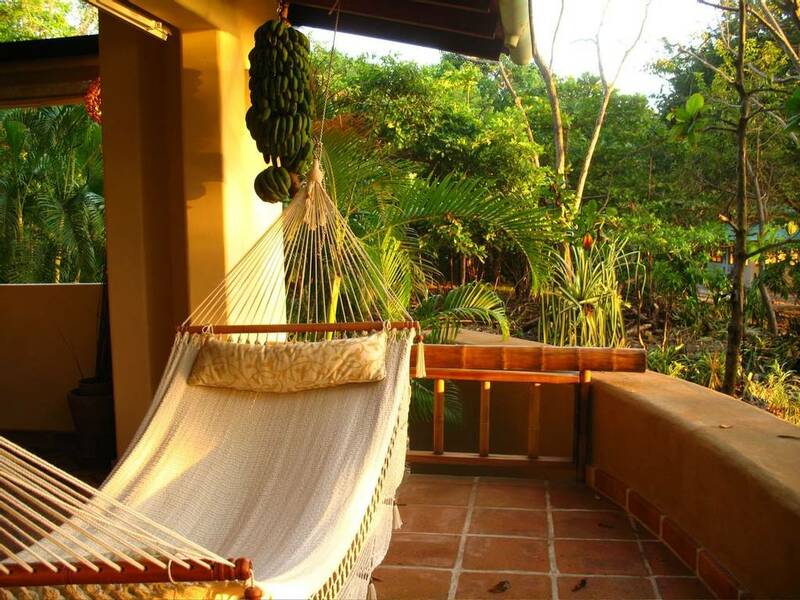 Every evening you can stretch out on your beach terrace or hammock and listen to the waves lap against the shore. I feel you've come to a special place when your experiences and memories of a vacation are not limited to the beach (beautiful in Santa Teresa's case), mountain, or other destination you chose, or how many cool pics you took, or how much you partied (or not! ), but also include the place you actually stayed in. 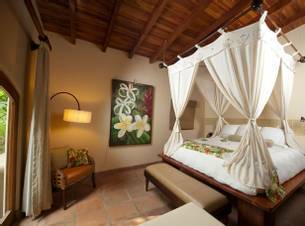 I recently spent 3 nights at Florblanca and it certainly is one of those places. 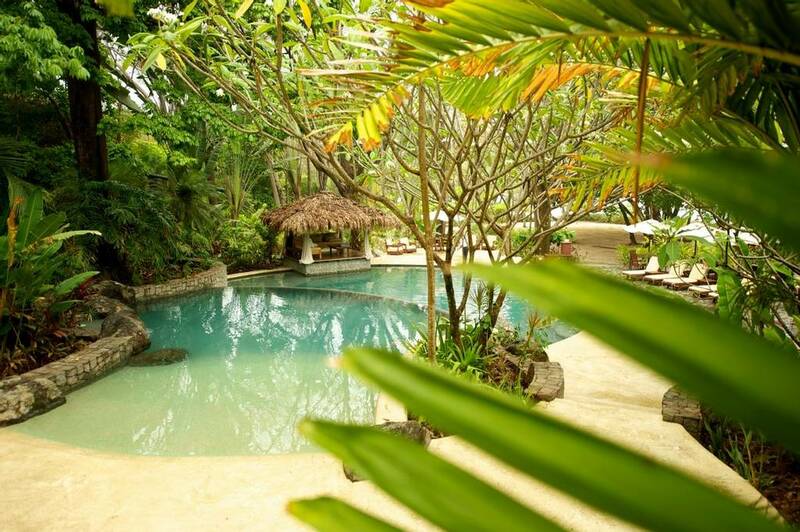 I never felt so connected with nature while being in a hotel; the way the villas are so open to the outdoors, you can't help but relax with the ocean air coming in and the sounds of the surrounding vegetation; everything in the villa was absolutely spotless while still providing a sense of warmth and welcome. The pool area had plenty of areas to sunbathe but also plenty with shade. The restaurant was a delight; I managed to try several dishes for all 3 meals of the day and everything was delicious, and the prices were definitely reasonable. 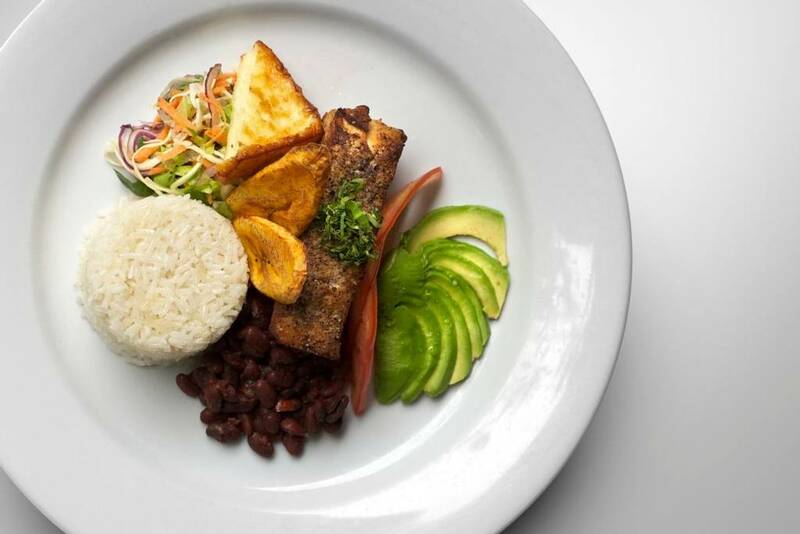 There are a lot of other dining options in Santa Teresa, some cheaper, some more expensive, but for the quality I was getting at Nectar restaurant, I did not feel the need to venture out, and the service was outstanding. Overall, a place I will definitely visit again and recommend to anyone! Florblanca resort is one of the most unique resorts I have ever had the fortune to stay at. 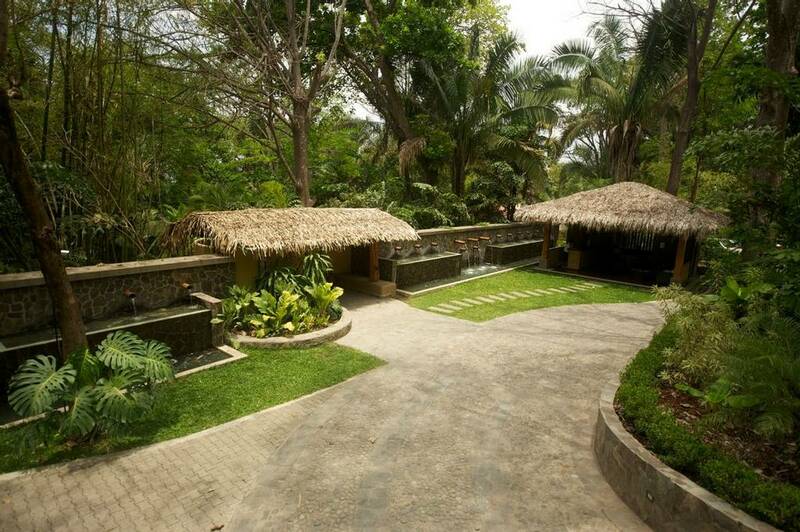 The property itself is beautiful - lush, quiet, and romantic. It is obvious that management has thought about what guests enjoy and have made those things available to those who come. The villas themselves are amazing. Spacious, clean - one of a kind accommodations. The restaurant for us was great - something on the menu for everyone. There were many things we asked for that were not on the menu and the staff/chef were happy to accommodate us. The food could not have been fresher. Menu choices were healthy and portions were more than sufficient. We loved the staff - especially Oscar - who always had a smile on his face, both of the Fernandos (one of whom could make a killer martini), and Lupe - the beautiful young woman who was like a ray of sunshine. 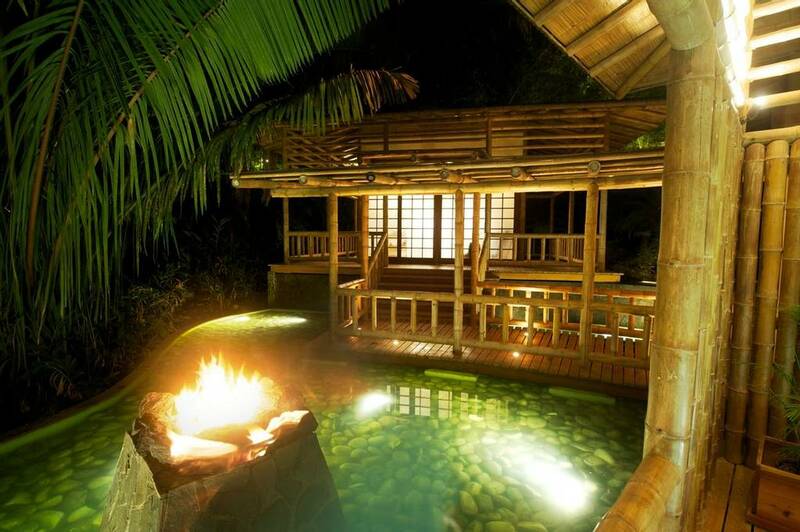 WOW, what an incredible resort. I would recommend this to anyone who appreciates the finer things in life. The staff at Florblanca was friendly and attentive, the rooms were spacious, private and exotic, the beach and location are gorgeous. For surfers, there are fabulous waves only a 5 minute walk down the beach at Rocamar and Santa Teresa Beachbreak. If you don't surf, you can fill your time with yoga, pilates, running, napping, lounging, swimming, eating, massages, reading or just about anything else you can dream up. 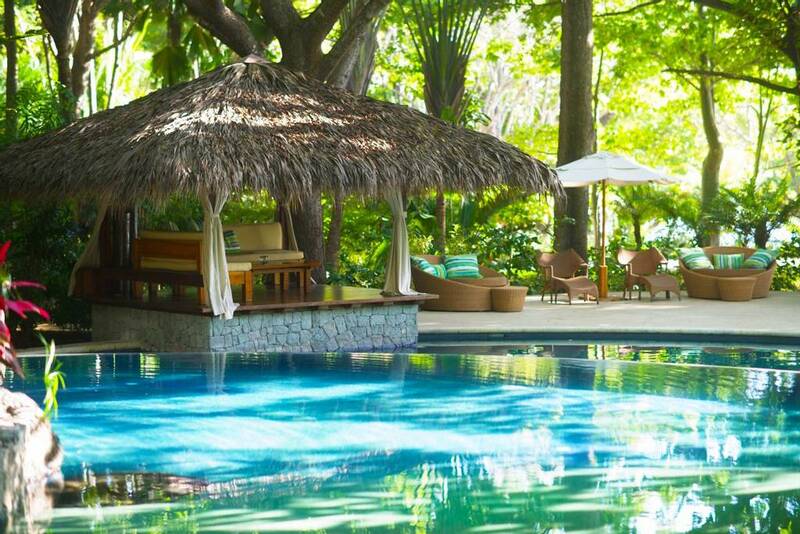 Nestled amidst tropical gardens alongside pristine beaches, Florbanca with its white sands and overhanging palms assures you of a peaceful wellness experience. 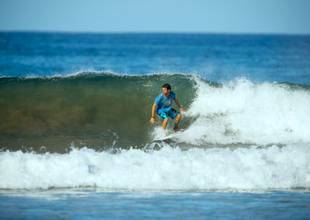 Be sure to try surfing and learn from the expert local instructors to hit the waves like a pro. 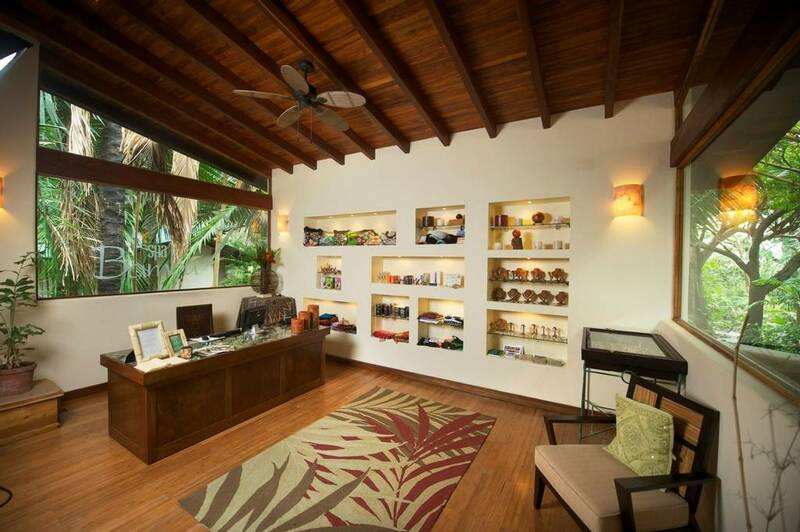 Reset your sense of balance by practising yoga at the splendid yoga studio or join the Pilates group classes. 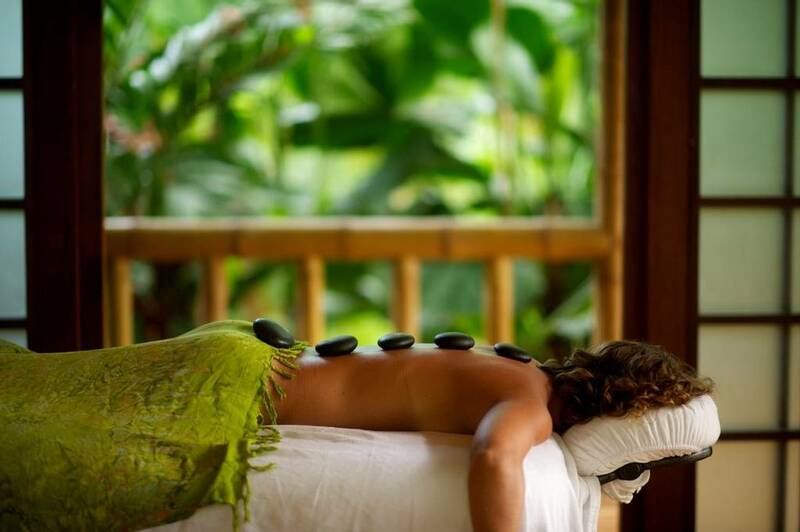 Awaken your senses with immersive spa therapies such as a coconut scrub or a deep tissue massage available at the Bambu Spa. 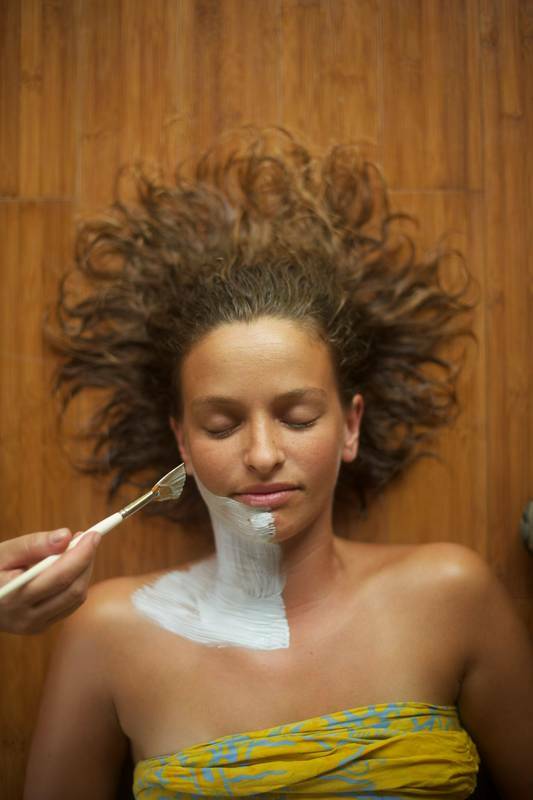 Each treatment is designed to incorporate purifying natural elements to leave you revitalised. 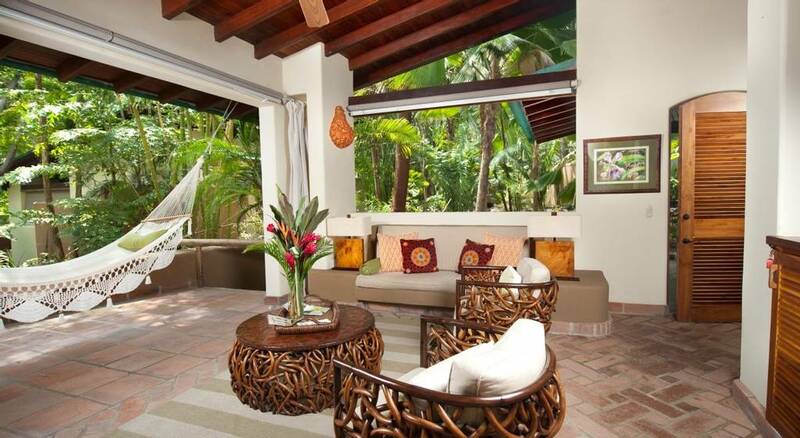 Ocean breeze, an abundance of natural light and alfresco bathrooms make every luxurious villa a haven for relaxation. 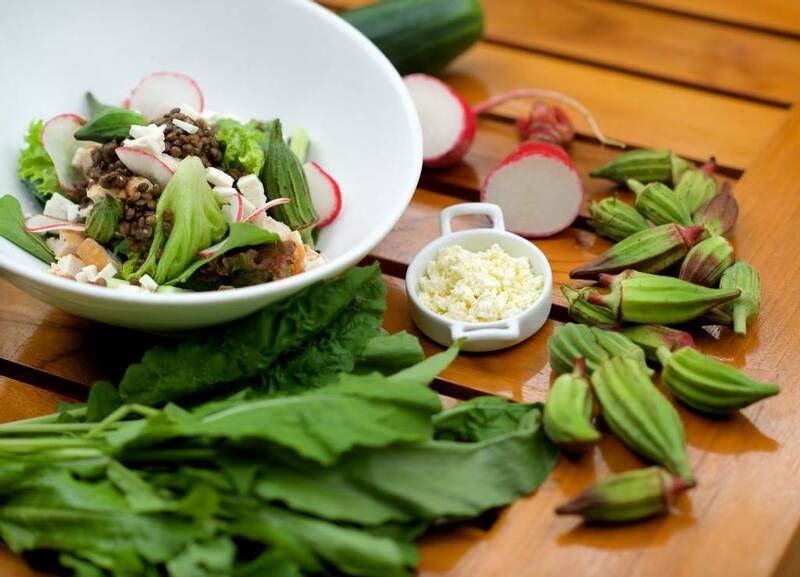 The creative gourmet served at Nectar places a strong emphasis on using fresh and seasonal ingredients. Every dish is a culinary treat inspired from New American, Latin or Asian cuisines. The unspoilt and cosy setting make Florbanca an ideal choice for your next romantic wellness break. 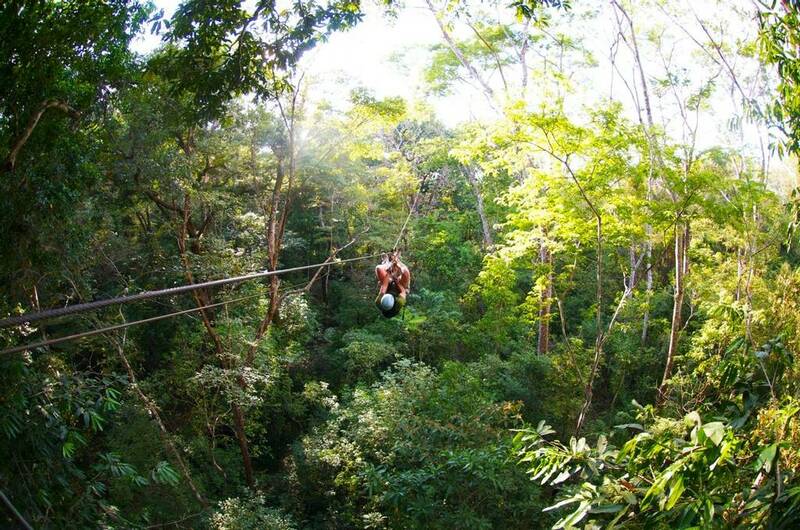 Spend your days by being active with treks, snorkelling sessions or ATV adventures. Children under 6 years of age are not allowed. You can smoke while at the beach but not inside the retreat. 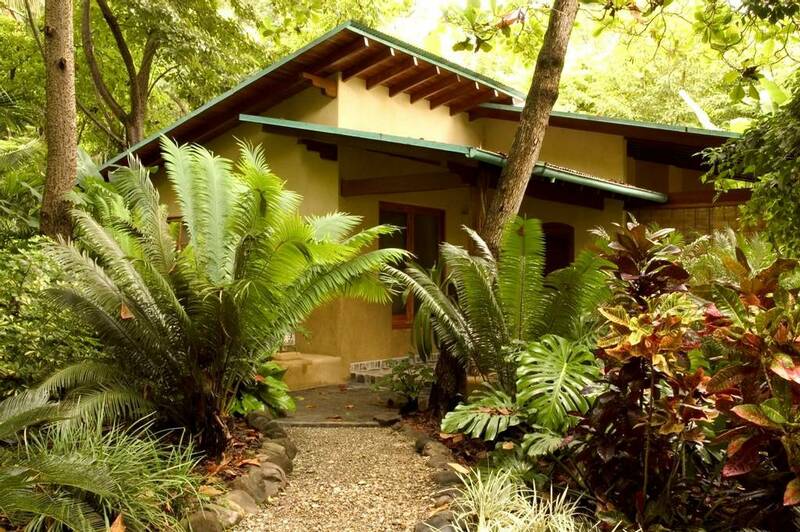 The retreats natural setting gets you exposed to tiny insects.